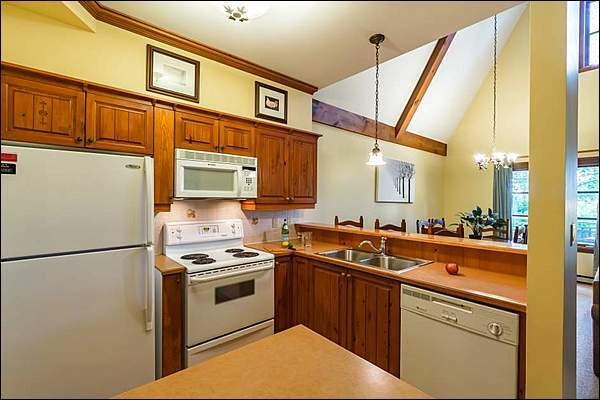 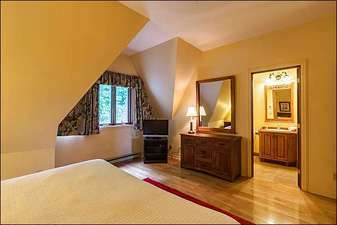 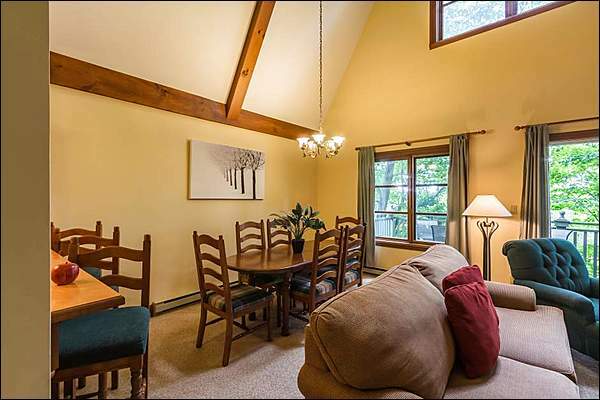 A lovely two bedroom alpine style condo with a cathedral ceiling in the living room area. 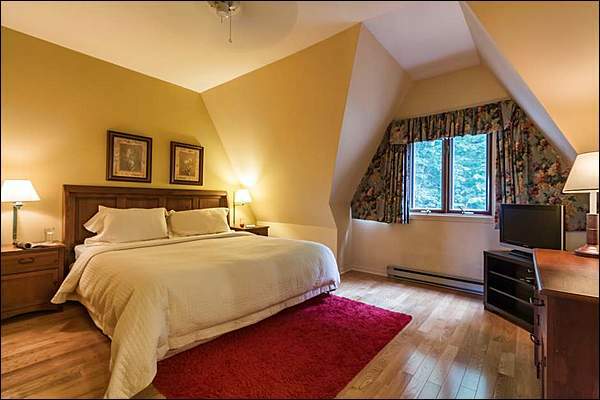 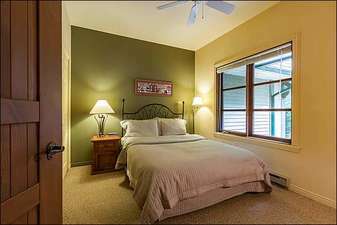 The master bedroom & en-suite washroom are located on its own on the 2nd floor. 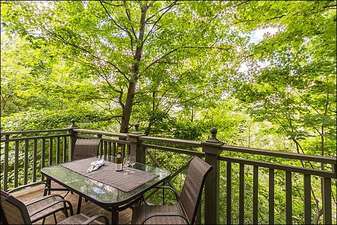 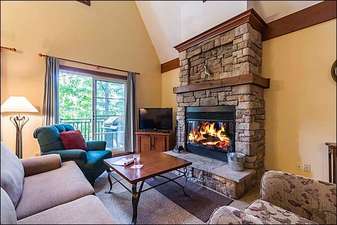 During the summer months you can enjoy the sound of the 30 foot waterfall from your balcony and take advantage of the close proximity of the ski-in/ski-out trails in the winter.